The Runner | KSA Hosts Workshop on "Skillfully Responding To Stress"
In order to help students learn how to address their own well-being and provide support to others who are struggling, the Kwantlen Student Association held a workshop called Skillfully Responding to Stress on Oct. 12. 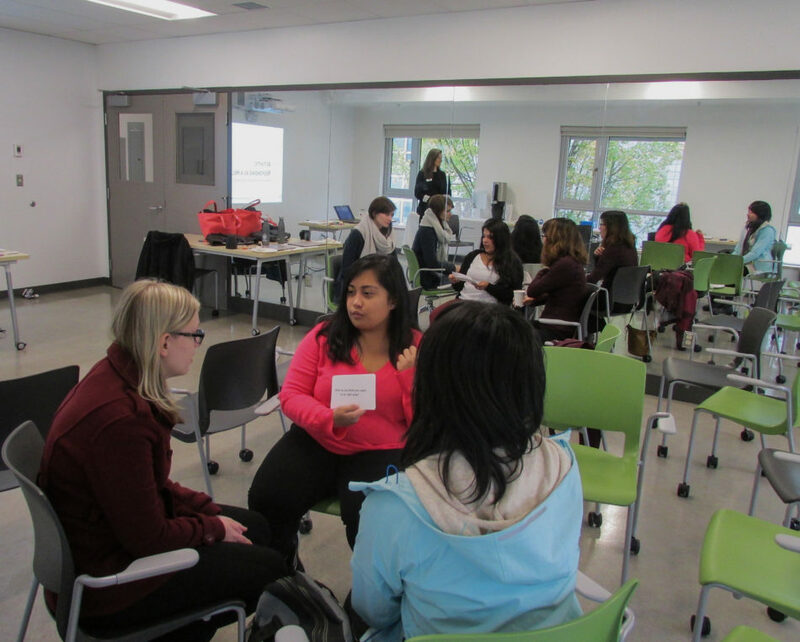 The workshop, which took place on KPU’s Surrey campus, was conducted by Tiffany Robinson from Youth Programs and Community Learning & Engagement in the Crisis Centre. It included a slideshow presentation, stress response activities, and a complimentary lunch. Robinson’s approach to “skillfully responding to stress” revolves around brain science, mindfulness, and meditation principles. She encouraged participants to focus on being present during the three-hour event, which explored two major themes—how to comfort someone in distress and how to help oneself. For comforting others, she suggests responding as a helper and letting people feel what they need to feel. According to Robinson, an active listener is empathetic, not sympathetic, and she adds that the tone and language one uses can easily make them either a helpful or unhelpful listener. “Our presence is more powerful quite often than any words we can string together,” says Robinson. To help yourself, she advises that you focus on self-care, inner clarity, and expressing to others what makes you feel uncomfortable. Remember that you’re a human being before you’re anything else, and that you aren’t obligated to help those in distress. Caitlin McCutchen, Kwantlen Student Association Vice President of External Affairs, wants to ensure that mental illnesses are seen as genuine health issues on campus. She is working on creating a KSA mental health campaign to “raise awareness, reduce stigma, and make sure services are available for students” called A More Mindful U. The Association for University and College Counseling Center’s 2016 report revealed that mental health issues for students is a growing concern, with anxiety affecting 50.6 per cent and depression affecting 41.2 per cent of its participants. Relationship concerns, suicidal ideation, self-injury, and alcohol abuse were among other common mental health struggles reported by the 6,308,747 students surveyed.